I’m Heidi David from Atlanta, Georgia. I loved last semester in Jerusalem and now I’m loving life in Tel Aviv! I went to public school all of my life, so going on a gap year in Israel was a surprise to most of my peers, but it has definitely been one of the best decisions I’ve made. I decided to take a gap year because I really wanted to try something new before college. 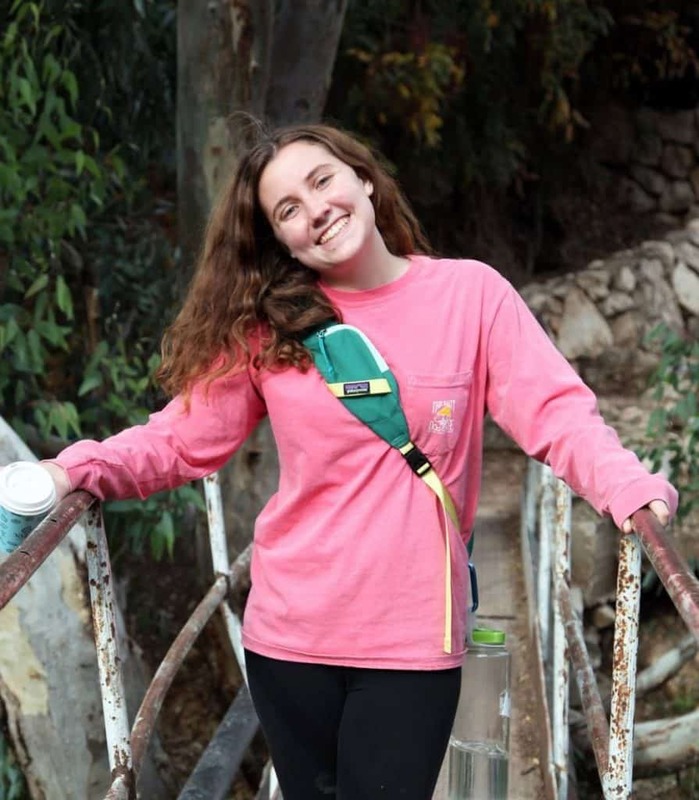 Aardvark has given me the opportunity to explore all over Israel, learn more about myself and make incredible friendships. A big part of my experience here is Selah, the religious learning track. Selah has helped me learn about my Jewish identity and discover what kind of Jew I want to be through exposure to difference perspectives on Judaism. I especially love the Shabbatons we have once a month. My favorite Shabbaton was our very first which took place in Tzfat. Our hike to the singing caves was very meaningful. It was our first time together, and we commemorated it by singing songs which echoed throughout the cavern. I love traveling to new places with my Selah family. My favorite tiyul so far took place last semester; It was a 3 day trip to Kibbutz Ketura. I saw all the beauty of the kibbutz through an early morning hike and bike ride, and I had the opportunity to make mud with my friends and build a fire-pit. I think we ended up with more mud on ourselves than on the pit! It was great to spend time with everyone in such a beautiful and warm environment. My internship this semester is at the Koret School of Veterinary Medicine, working in a chick embryology lab. I assist on experiments that look at hindbrain development in embryos. I love the hands on skills I’ve been developing by doing my own experiments. It’s been an opportunity like no other, especially with English not being the primary language spoken there. This experience will help me in my future at Washington University in St. Louis where I’ll be studying Biology. In just two weeks, I’m heading to Nepal with 9 other aardvark students. I am so incredibly excited and nervous. I can’t wait to immerse myself in the local culture and enjoy every adventure that comes my way. I chose to go to Nepal because I wanted to go on a trip in which I would be exposed to a new culture and be able to contribute to that community. I’m especially looking forward to staying with a family in the village and seeing what everyday life is like. I am so thankful that I was able to come to Israel to spend my year in the holy land. It’s been a blast so far and I am looking forward to the next few months and all the incredible experiences they will bring!